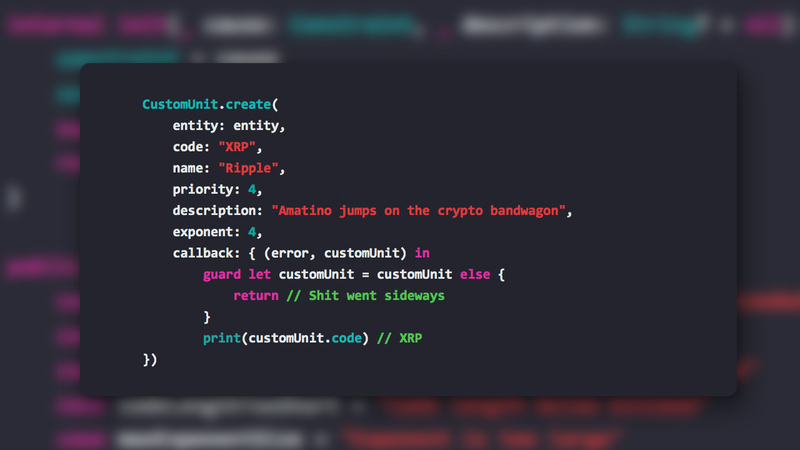 A new version of Amatino Swift has been released. 0.0.10 adds some Custom Unit capabilities, slims some method signatures, and various smaller bits and pieces. Note that release 0.0.9 was skipped for reasons of… science. 0.0.8 is the previously released Swift library version. Added unit tests for new CustomUnit methods.